Admission Price: Registration has now closed. A psychologically minded NHS: Key to a collaborative and sustainable NHS? In his inaugural lecture, Paul Burstow, Professor of Health and Social Sciences, will outline how the NHS is facing huge financial and workforce challenges against a background of rising and changing demand. NHS England’s Five Year Forward View makes the case for changing models of care to meet the 21st century health care challenges of multiple long term physical and mental health conditions, frailty and ageing. Incorporating a psychosocial perspective into the design and delivery and management of all healthcare services can make a significant contribution to meeting the £22 billion productivity challenge. If the NHS is to celebrate its 100th birthday its leader will have to move at pace, operate collaboratively and be driven by a common purpose. What would a psychologically minded NHS look and feel like, how would the adoption of a psychosocial approach help the NHS meet the challenges it faces? 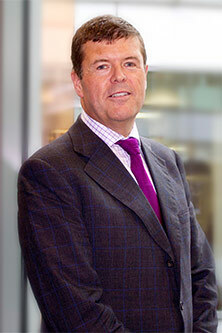 Paul Burstow is Professor of Health and Social Care in the division of Health Services Research and Management in the School of Health Sciences, City University London. Paul works across the areas of health and social care, health management, public health and health services research, as well as teaching on the undergraduate and graduate teaching programmes and contributing to research, enterprise and innovation. Appointed as Minister of State for Care Services from 2010 until 2012 while serving as the Liberal Democrat Member of Parliament for Sutton and Cheam, Professor Paul Burstow was responsible for setting policy on long term health conditions, adult social care, mental health services, carers and learning disability programmes. He also played a key role in shaping the 2014 Care Act. His achievements as a minister include developing new talking therapy services for children and young people, banning age discrimination in the NHS and doubling investment in dementia research. The Great Hall, College Building. Registration and drinks reception: Great Hall Foyer.